The Irish Warriors produced a solid but unspectacular performance to beat a gallant French side 17.9 (111) to 0.2 (2) for their second win of the tournament. 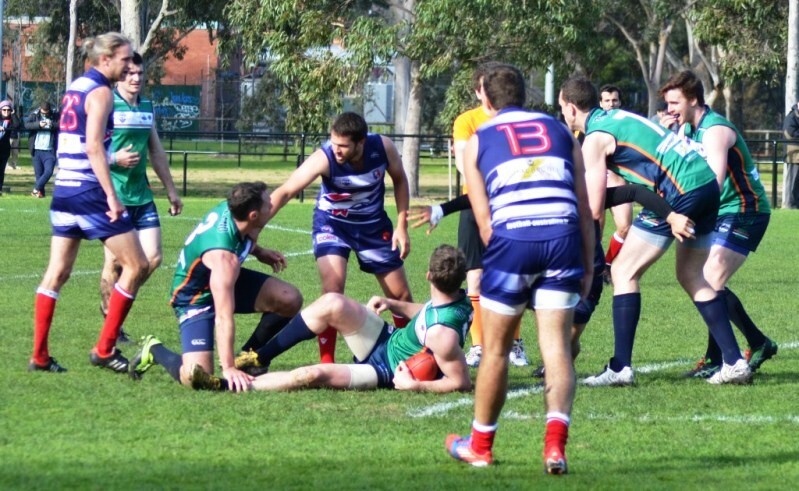 Although the Irish were rarely troubled at the back, they will know that a better overall performance is demanded when they take on Nauru on Saturday with a semi-final place up for grabs. Led by a commanding performance by 203 cm giant ruckman Paul O’Halloran, the Warriors came out firing with Padraig Lucey simply too big and too strong for the French defense. Although the French showed plenty in terms of endeavor the Irish were able to play the game on their terms isolating their taller targets one on one in their forward 50. Goals came thick and fast in the first quarter as the Irish took a 6 goal lead into the first break. It was more of the same in the second quarter as Irish captain and 2008 IC best and fairest winner Mick Finn moved further forward and began to have a huge influence kicking one goal and setting another for Lucey. Brendan Browne was a driving force in midfield winning contested possession and surging forward. Despite their hard work the French went into half time having yet to trouble the scorers, trailing by over 60 points. The French were much improved after the main break and began to run the ball out of defense with greater purpose. The Irish will be keen to ensure that they don’t allow Nauru such space as their running game was a feature victory over Great Britain. For the first time the French made in-roads into the opposition forward 50 although a goal eluded them, they finally get on the score board registering 2 behinds. Les Coqs should also take some pride in limiting the Irish to only two goals for the quarter. The final quarter saw Ireland put their foot back on the gas as they scored another 5 majors to bring the final margin to over 100 points. Lucey even brought out party tricks kicking one major over his shoulder with his back to goal. Although this was an improved performance on their opening win over Fiji player coach David Stynes made the point afterwards that this level will not win the tournament. 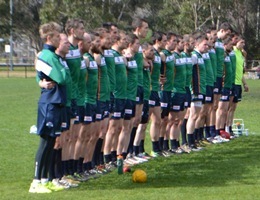 He is well aware that the Irish will have to raise their game starting with Saturday’s match in Bendigo against Nauru.